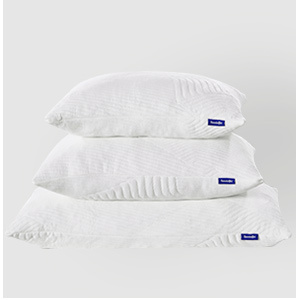 Having troubles sleeping because of neck pain, sweat, bad support, lumpy or go flat pillow? We know how hard it is to find the perfect bed pillows. We believe everyone should sleep well and feel refreshed after a night of rest. We are the maker, after testing countless materials to ensure the perfect balance between fluffiness, supportive, comfort, adjustability. We have created this unique pillow just for you! 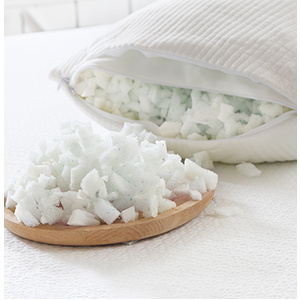 What Sweetnight shredded memory foam pillow can offer? 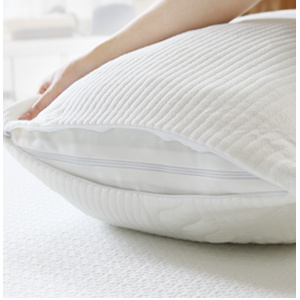 – Premium materials of bamboo pillowcase & gel memory foam for sleep cooler. 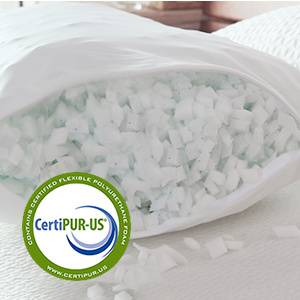 – Moldable shredded memory foam prevents neck and back pain, proper spine alignment. – Helps those tossing & turning, insomnia, migraines, lessen snoring. – Doesn’t become lumpy or go flat over time, it stays fluffy yet supportive. Gel-infused memory foam slowly adjusts to your head temperature for sleep cool. provides the plushness, breath-ability, shape-ability and better support. Easy to care and maintain. 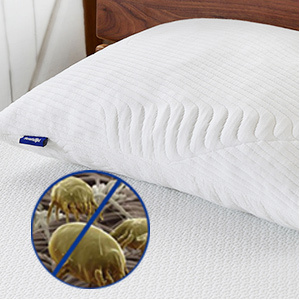 Removable pillowcase is machine washable. Before sleeping, pat & shake it to enhance it’s fluffy shape.